Obituary for Doris (Linn) Rody | Hartzler-Gutermuth-Inman Funeral Home Inc.
Doris (Linn) Rody, 91, of Elkhart, died at Hospice House in Elkhart on Tuesday, November 27, 2018. She was born to the late John S. and Esther M. (Dunmire) Linn in Elkhart on January 6, 1927. She graduated with the Elkhart High School class of 1945 and attended Western Michigan University. Doris married John E. Rody in Elkhart on November 15, 1947 and he preceded her in death in 1999. She was also preceded in death by a brother Larry J. Linn. Doris had worked in the office at Miles Lab and became a homemaker and avid seamstress. 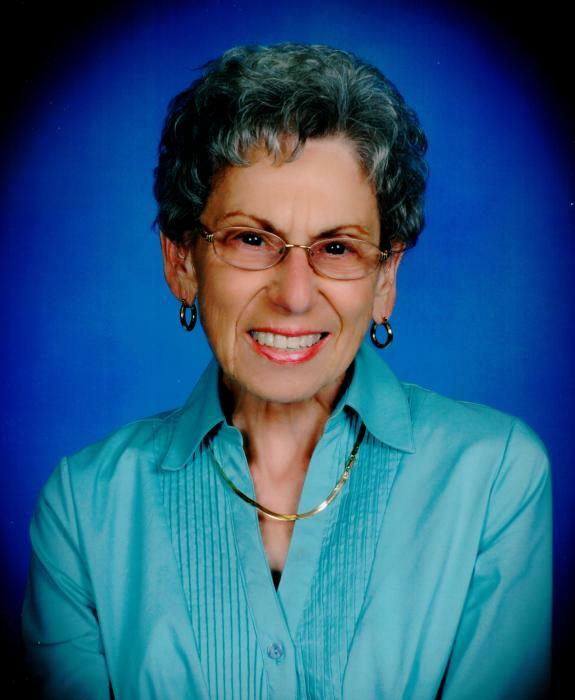 She was a member of St. Vincent’s Catholic Church, Rosary Society at St. Vincent’s, Elkhart General Hospital Auxiliary, Class of ’45 EHS reunion committee, Past President of Married Women’s Club and Fender Benders bowling league at Oakland Lanes for 35 years. She is survived by son John L. (Carol) Rody, Bristol, IN, grandchildren Robert C. (Tina) Rody and William J. (Rachel) Rody, great grandchildren Zoe, Jimmy and Johnny, sister-in-law Lynn Linn, Elkhart, IN and nephew Michael Linn, Madison, WI. Visitation will be held at Hartzler-Gutermuth-Inman Funeral Home on Monday, December 3, 2018 from 4 PM to 7 PM with the Holy Rosary being prayed at 7 PM. A Mass of Christian Burial will be on Tuesday, December 4, 2018 at St. Vincent DePaul Catholic Church at 11 AM with visitation one hour prior. Burial will be in St. Vincent Cemetery.